Samuel Johnson once said, “When a man is tired of London, he is tired of life,” and this still holds true today. Whether it is your first or millionth time traveling to London, you can always find new ways to embrace the culture as both a tourist and a local. Below, in our London Travel Guide, you will find a few of our tips and tricks to make the most of your next London experience. Forget the taxi! Ride a bike around the city. Get a 99p at an ice cream stand on a sunny day in Hyde Park. Instead of watching the Changing of the Guard at Buckingham Palace, consider going to the Horse Guards’ Parade where it is less crowded, but still impressive. Meander through one of London’s markets such as Camden Market or Borough Market. Both are great places to find funky and unique souvenirs. Pub food – Pubs are often family friendly, social hubs with delicious food. Where to stay: From luxurious stays to quaint bed and breakfasts, Kensington, Chelsea, Victoria Station, Hyde Park, or Mayfair are great places to call your holiday home. 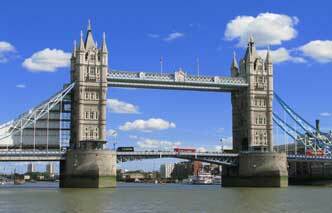 When to go: To get a good mix of great weather and smaller crowds, vacation in London during the months of May, June, or September. What are your recommendations for a unique London area experience?